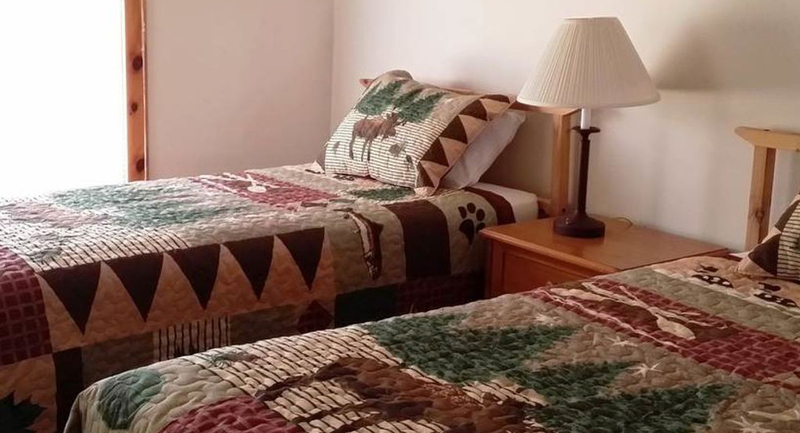 Two bedrooms, offering 1 queen bed and 2 twin beds. 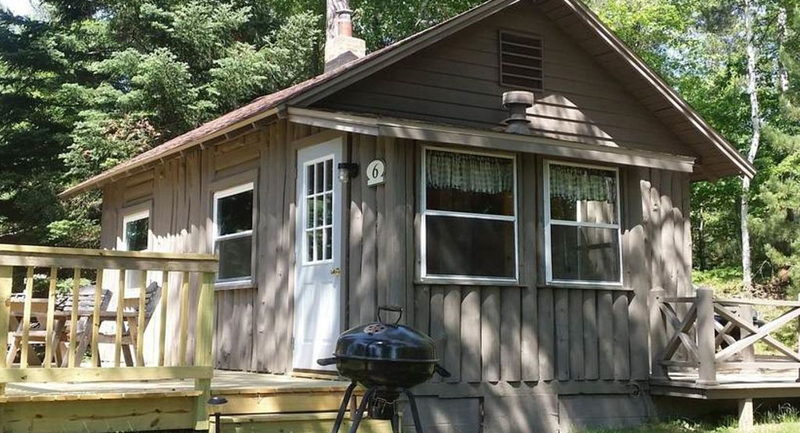 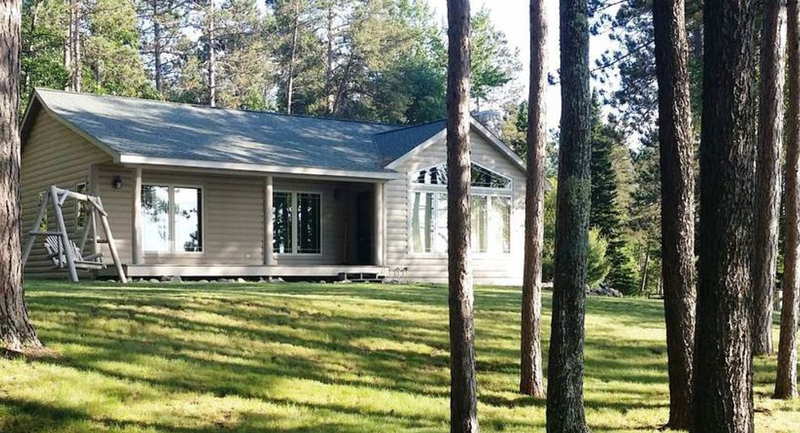 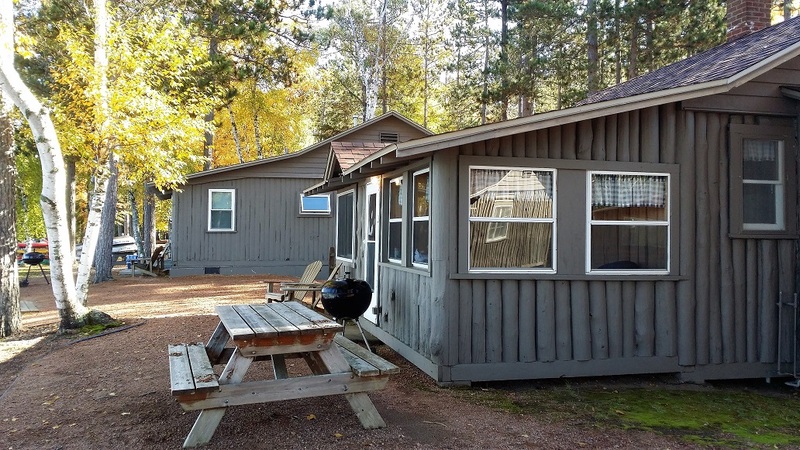 This cabin features a living room that includes a sleeper sofa and a gas fireplace. 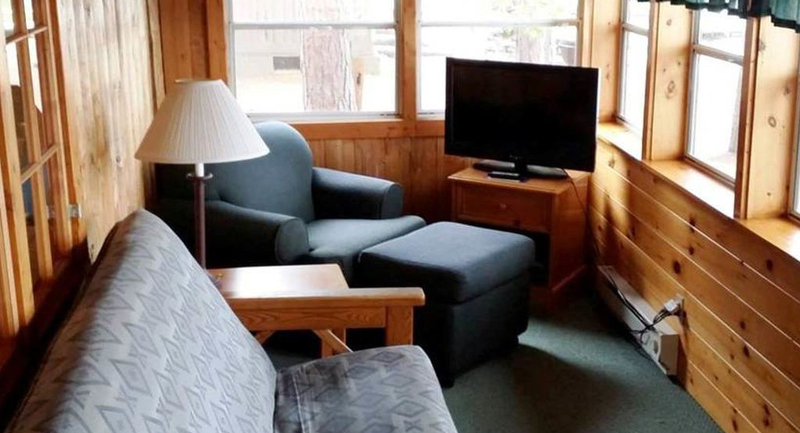 A full-cabin spanning lakeside porch features a color cable TV, lounge chair, ottoman and double futon. 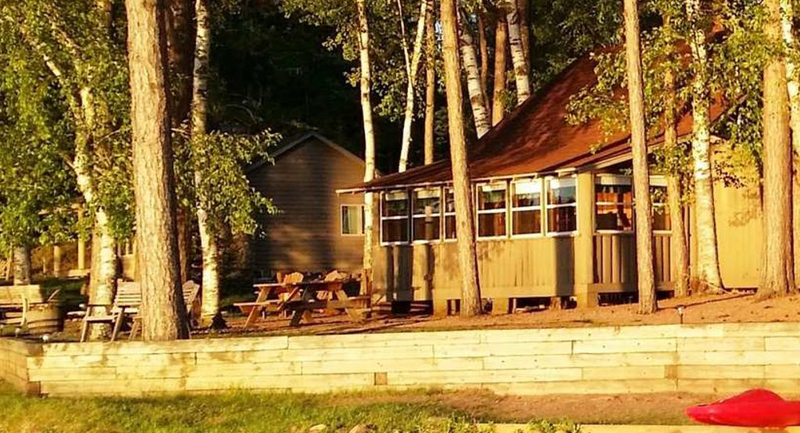 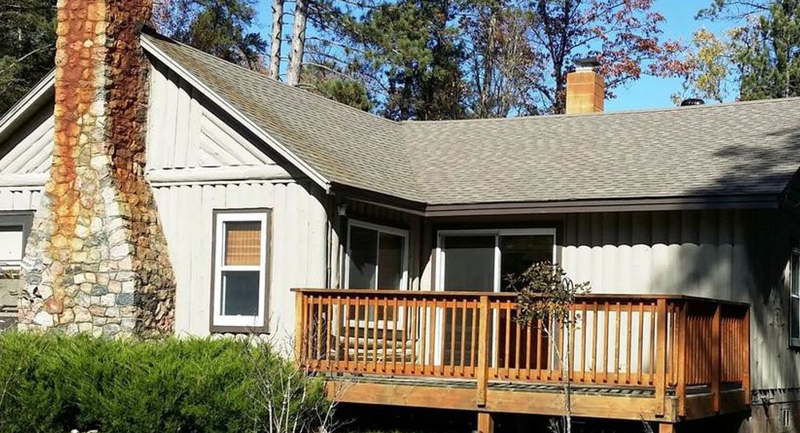 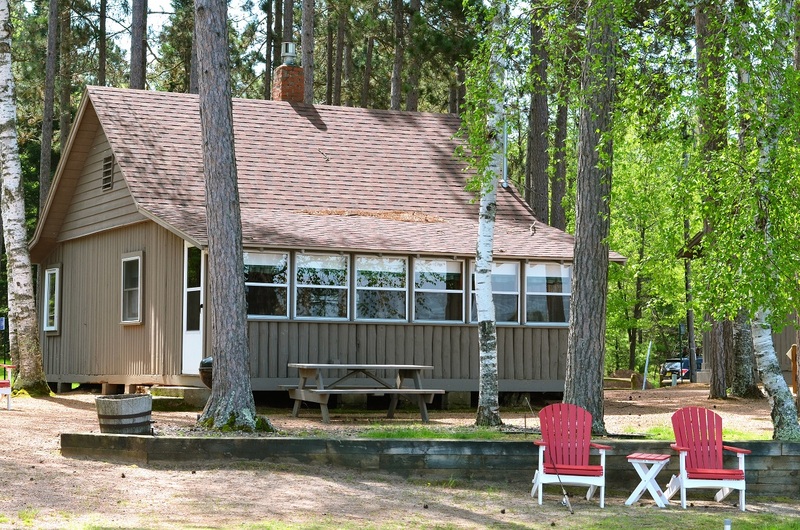 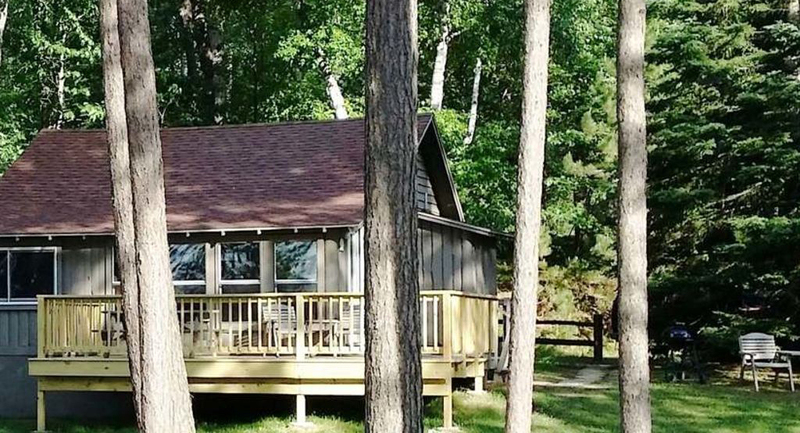 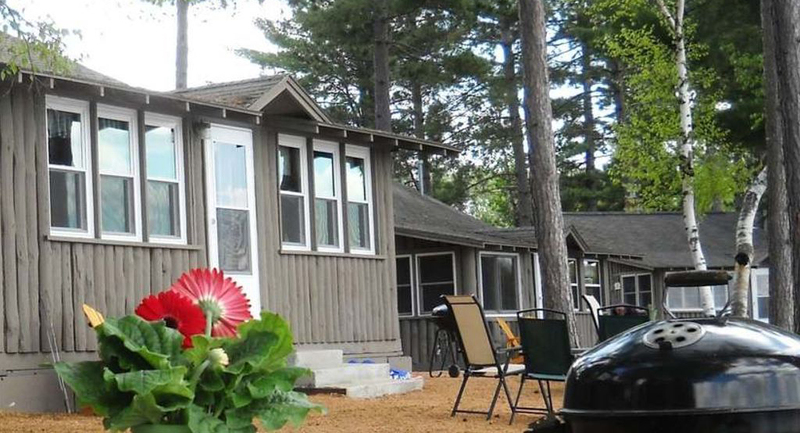 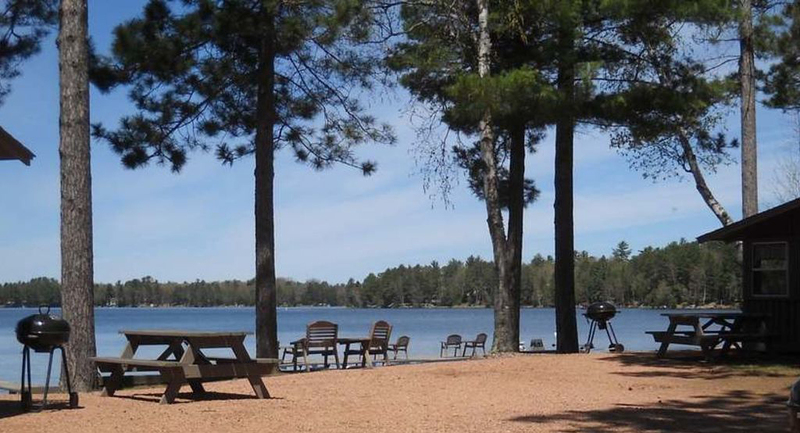 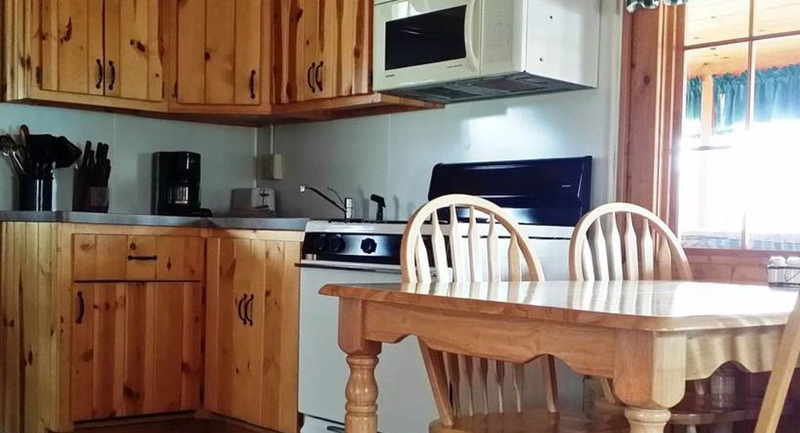 This cabin has a perfect view of the dancing tree, docks, boats, lake and sunsets. 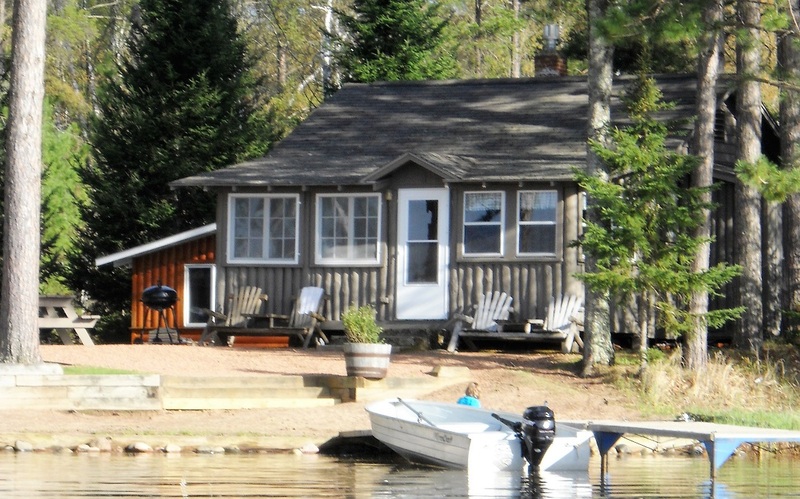 The cottage is situated on the water's edge. 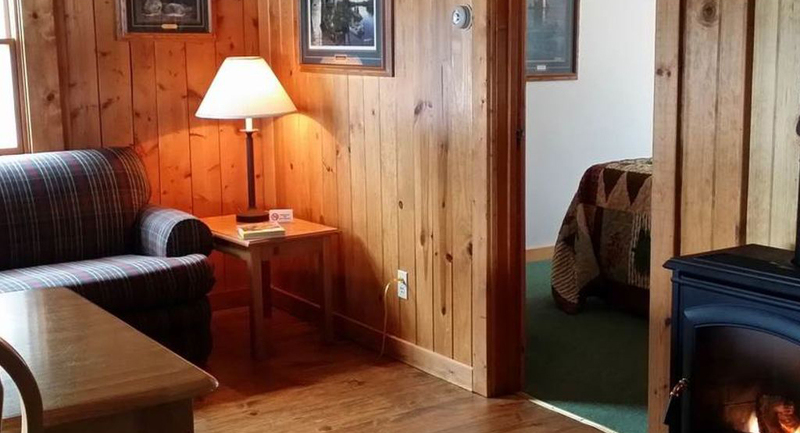 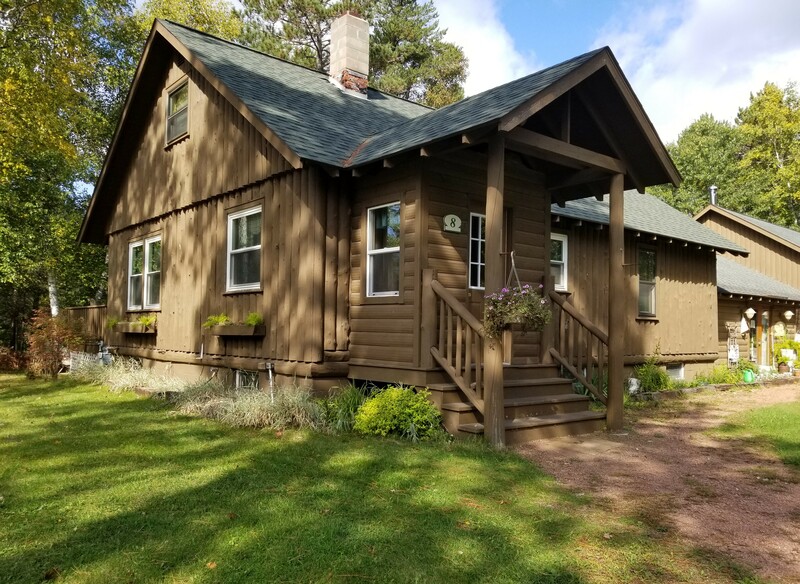 Upgrades to Cabin 4 include the remodeling of the bathroom with new fixtures, walls, lights and the light switch is moved to the bathroom entry. 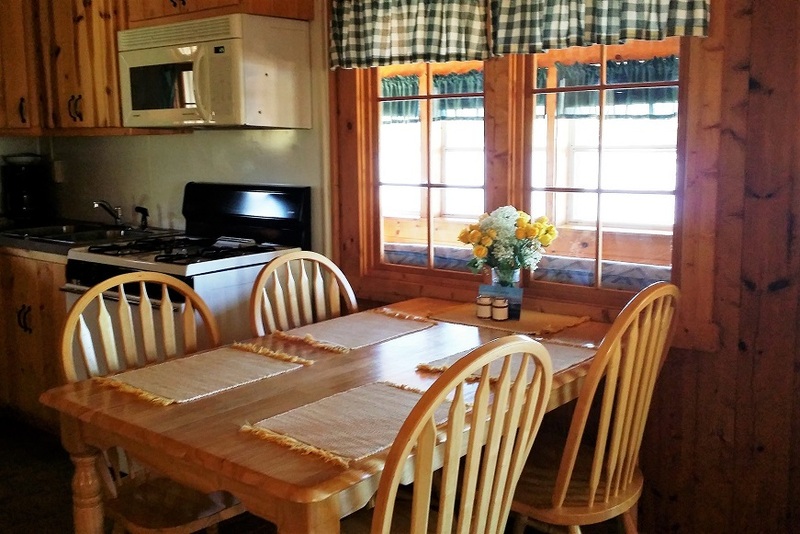 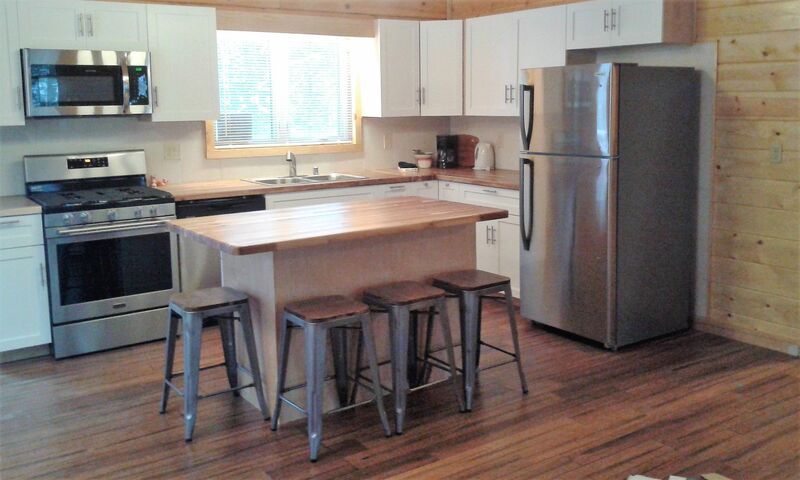 This cabin also has the new wide-plank hardwood flooring in the living room/dining room areas and a new roof.